It's time to celebrate the end of November by sharing another virtual cup of coffee with me while I update you on what's going on in my life lately. I love a good 'Taking Stock' blog post, so I hope you'll humour me and sit a while with me in a lovely little cafe I love to visit while I share my news. Here we are again at Stirling Cottage in Harvey, Western Australia, surrounded by absolutely beautiful gardens and a river walk. You can tell Spring is in the air. If we were sitting at this table in the sunshine sharing a cuppa and a scone, or a homemade cake, these are a few of the things I would tell you I was doing at the moment. 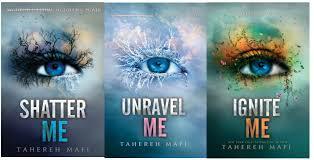 I'm still going through a teenage dystopian phase and have finished two different series - The Black Mage by Rachel E. Carter and Shatter Me by Tahereh Mafi. Easy reads with predictable plots, but that's about all my brain can handle at the moment. My lovely husband and I have continued to get out and about for a weekend walk or bike ride while the Spring weather is so nice. 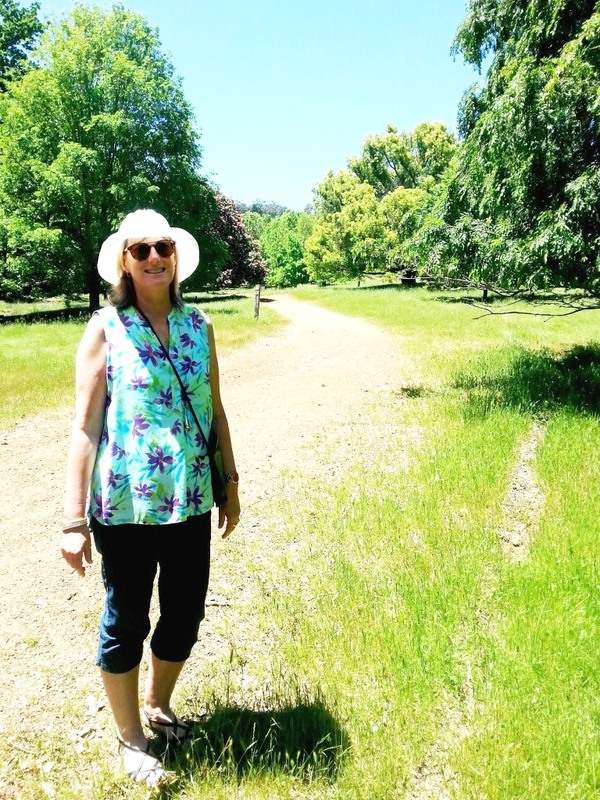 For my birthday, we went for a drive to a little town called Balingup and wandered through the Golden Valley Tree Park - full of beautiful Australian and European trees - a really lovely spot. 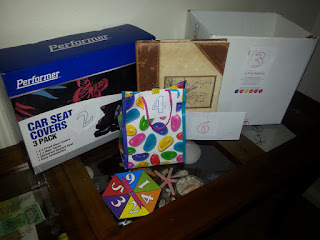 1) Celebrating my birthday this month - my husband always makes it Birthday Week and went all out with a spinner to allocate which present I could open each day. 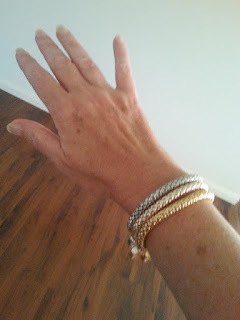 One of the presents was my "Leanne" namesake jewelry from Luvit Jewelry (owned by Kathleen - one of my Aussie blogging buddies). 2) This silly meme that makes me smile every time I see it - because it's what every blogger thinks when something new happens! 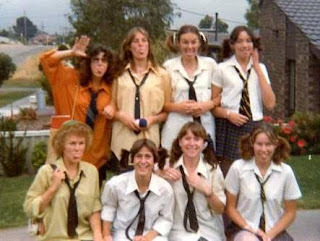 My school days - my friend put up some old school photos of our last day of High School as a birthday post on Facebook and they brought back fond memories of my school days (which I'd written about on the blog this month too). The necklace I'm wearing says "Sweet 16" - we won't go into how many decades have zoomed past since these pics were taken! 2) To start a Link Party early next year - stay tuned! 1) Our week away on holidays next week - sun, sea, cycling, cute animals and lots of relaxing. I'll be posting about it on our return. For now it's just a pleasant light at the end of the tunnel of work and routine. 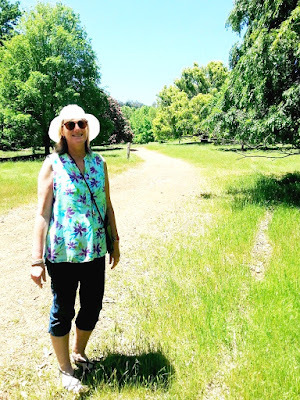 2) Sharing my blog with three great guest bloggers for the week I'm away - I hope you'll pop back and read about them and the link parties they host. So that's about it for coffee for November. Hope you enjoyed our catch-up and maybe we can do it again at the end of December? Hopefully there'll be new stuff happening and lots to talk about. Is there anything interesting happening in your world? Love the meme, Leanne! I have often had that exact same thought! 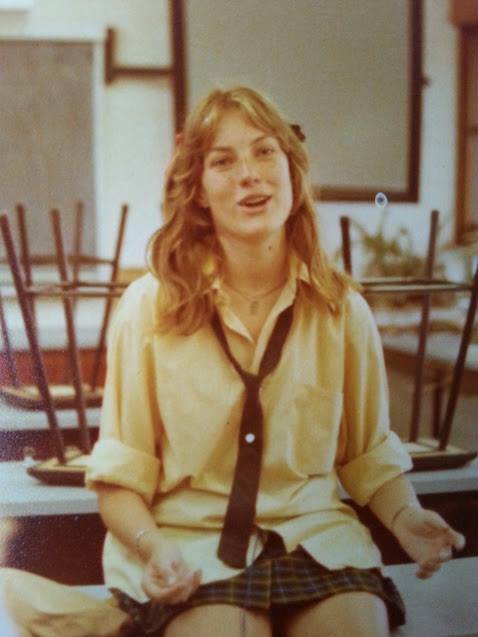 What a kind thing to say Sue - I can't believe so many years have flown by since I was one of those carefree young girls on our last day of high school! This was lovely! HAve way too much fun on your get-away! And I'm going to watch for your link party! You'd be a perfect fit for the party Diane - stay tuned for the end of January - we hope it will attract people who want to share the love. I love coffee and I loved this post. Enjoy your time away! Thanks so much Lisa - we're both really looking forward to it - just some time out in the sun with no responsibilities - bliss! Oh Leanne, I so need to visit that beautiful coffee spot. So what if its on the other side of the planet? Its so pretty. 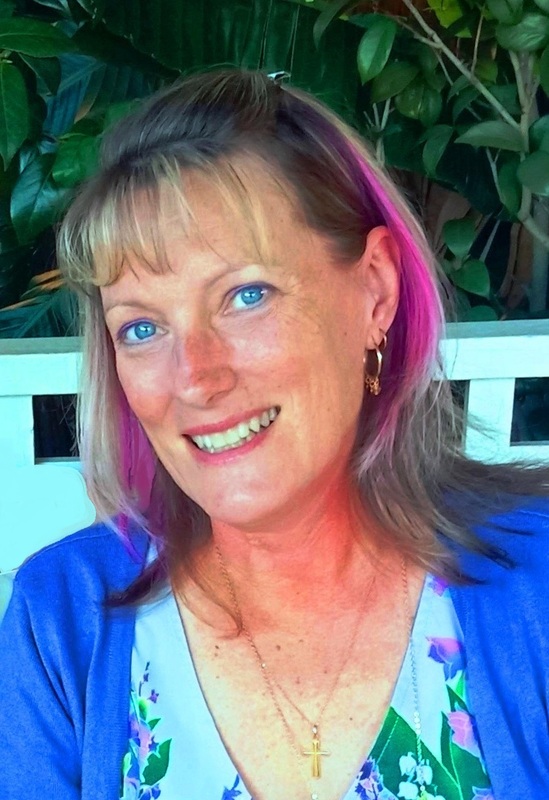 I still find it hard to believe how far away we are from each other Laurie - when I read other bloggers who I connect with, I feel like we should be neighbours! That meme just makes me smile every time I look at it Kathy (even weeks later!) 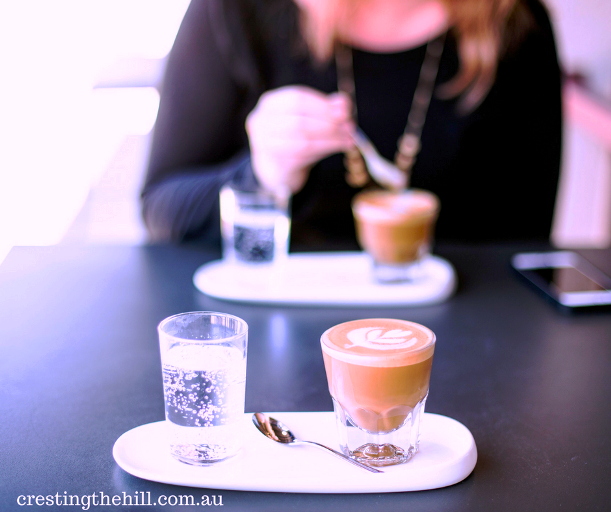 and I would so love to catch up with all you Qld bloggers for a cuppa one day! I giggled at the meme Leanne! 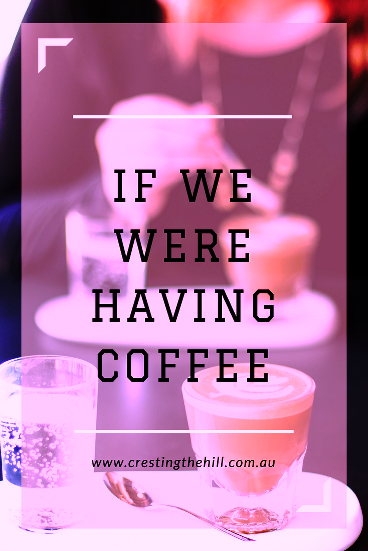 You are so right :) It's time we had another coffee IRL - Stirling Cottage in Harvey is so beautiful isn't it - and the writerly connotations run through its history - always gets the writer's muse in me agitating - like in the cat meme you posted! My daughter-in-law loves it for the gardens Jo (she has a green thumb) and I just love it for it's serenity - and the May Gibbs connection is pretty cool too! I love those school pictures of you and it's so familiar - that era.... the types of photos of that time! I'm not a fan of dystopian / fantasy / sci fi books but I enjoy watching those sorts of TV shows! I seriously considered throwing in the towel at the end of the year Deb, but Sue and I are now starting a link party that we're really excited about and that gave me a bit of a boost to keep going. We'll see how it all pans out. Months with birthdays in the are always the best I think. We have birthday weeks in our family too and I think it's a great tradition...one day just isn't enough! What a wonderful way to learn a little more about you Leanne!! I love seeing these old photos----that just made me smile!! It's been a good month Lyndall - I think throwing a birthday into the mix always adds a few extra activities to the normal routine though. I go through different phases in what I am reading too! 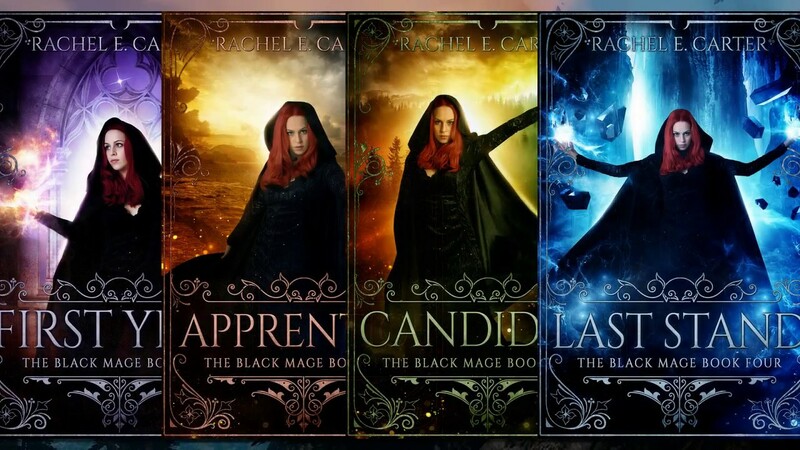 I'm a huge fan of fantasy novels Cathy - but I certainly got distracted by the Youg Adult stuff recently - the joys of free Kindle downloads! Love the meme too....so totally me! Even my kids ask if we go somewhere, 'Are you going to blog about this?' Answer is always yes! Leanne, I hope you don't throw in the towel! 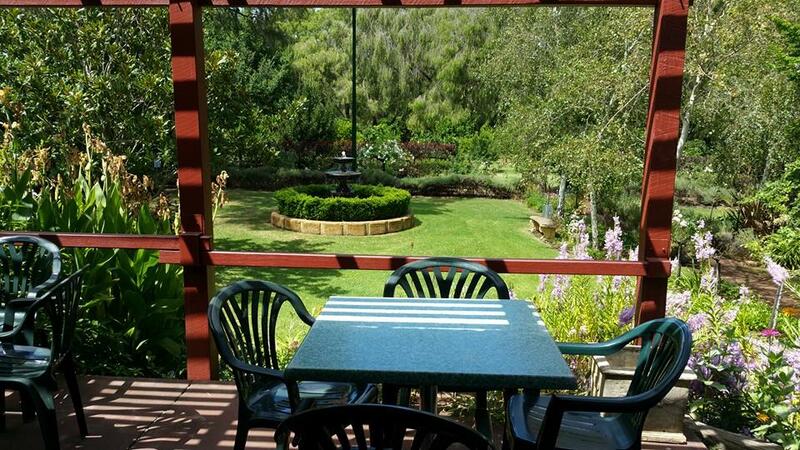 I would miss my mini-vacations in Australia and virtual cups of coffee (followed by my real cups of tea). I love Sue's blog, too, so I'm looking forward to your link party. 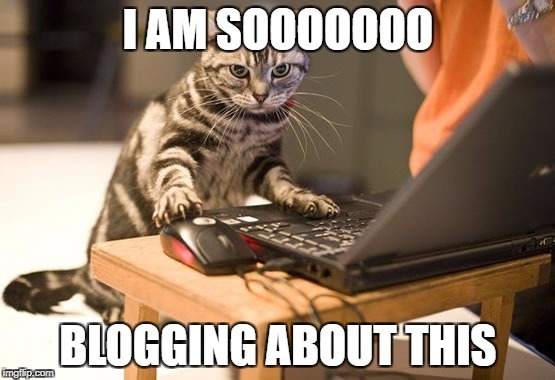 Love the meme - that cat looks like s/he means business! Oh I would love to be transported away to that lovely spot for coffee and cake right now. We are moving house next Monday, which requires a major downsize of the junk that has been collected by the males of the house. Enjoy your break away next week. Lovely to have coffee with you! I am enjoying your updates from your holiday with your husband. Thank you for linking up for #LifeThisWeek 47/52. Next Week: Today I will. Final Week for 2017: Christmas Plans. That meme is on point. Happy belated birthday and have a wonderful December! Your husband sounds like a lovely and thoughtful guy. Sharing a walk or a bicycle ride outside with your spouse or a loved one is a perfect way to celebrate Spring weekends.